Successfully Added Toothbrush Sterilizer - 3 Mode Sterilization to your Shopping Cart. For keeping your toothbrushes and razors clean, this wholesale priced toothbrush sterilizer with three differnent modes of sterilization excells. Everytime the front cover is closed, the toothbrushes will be bombarded with UV light, Ozone, and lightcatalyst to kill 99% of all bacteria. 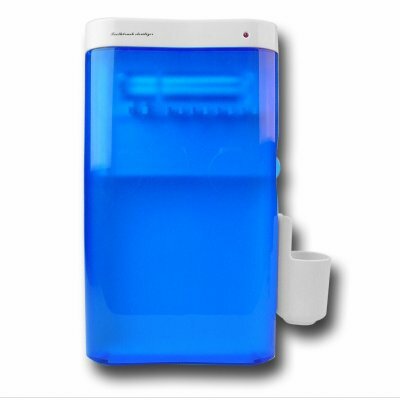 Even better, a built timer will automatically run the sterilizer for 3~5 minutes then turn itself off, and if you leave the power on, it will do it again and again ever 4~6 hours to keep your toothbrushes clean all day. A bargin price, and with no MOQ means that you can buy one for yourself, or buy as few or as many as you want for reselling later..